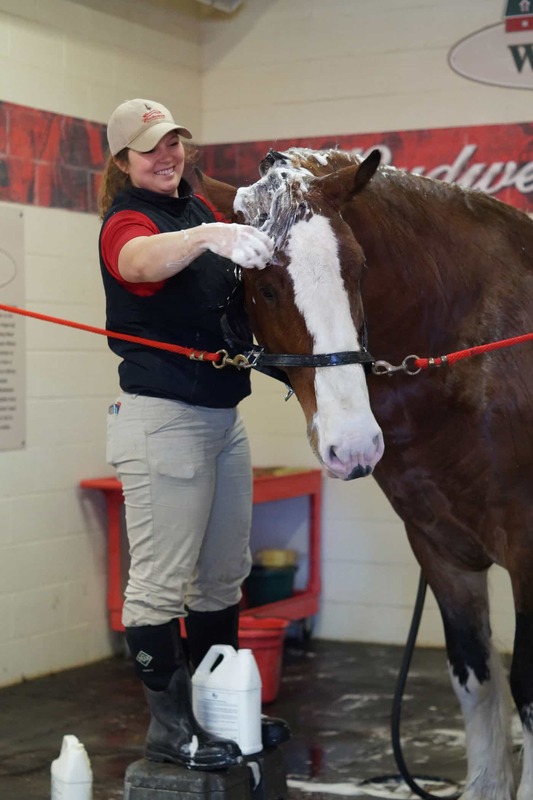 If you can’t get enough Clydesdale goodness from a trip to Grant’s Farm, I highly suggest a road trip to Warm Spring Ranch, the true home of the Budweiser Clydesdales. What is Warm Springs Ranch? Warm Springs Ranch is the breeding and training facility for the Budweiser Clydesdales, located just outside Columbia, Mo. This is where they raise the horses, so you’ll see plenty of mares and babies! They’ve recently moved the trainers here too, so horses are born, raised and trained for pulling the famous Budweiser Eight Horse Hitch for parades. 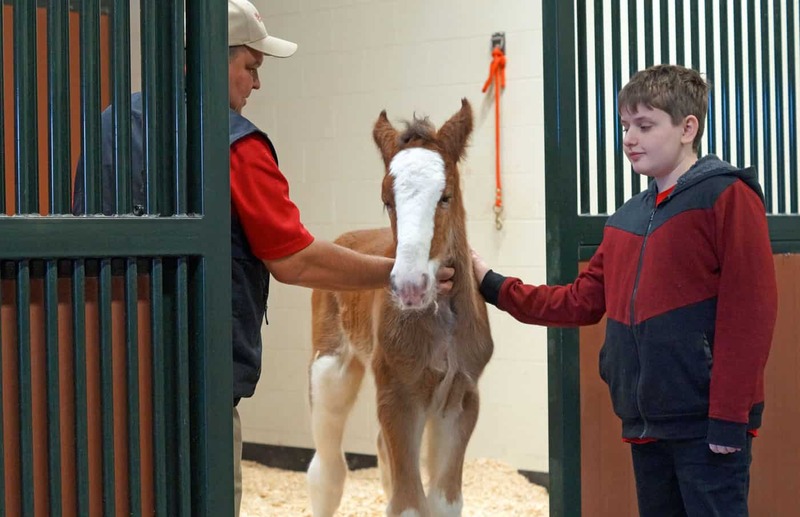 You’ll see lots of baby Clydesdales at Warm Springs Ranch. This little guy is just four days old! This is not a show barn just for tourists–it’s a working horse ranch that’s open to the public. 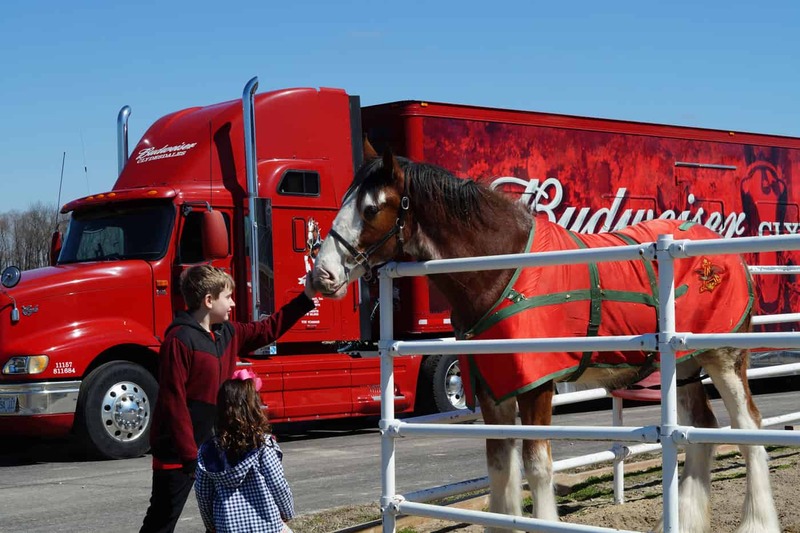 Though being home of the Budweiser Clydesdales it’s very visitor friendly. 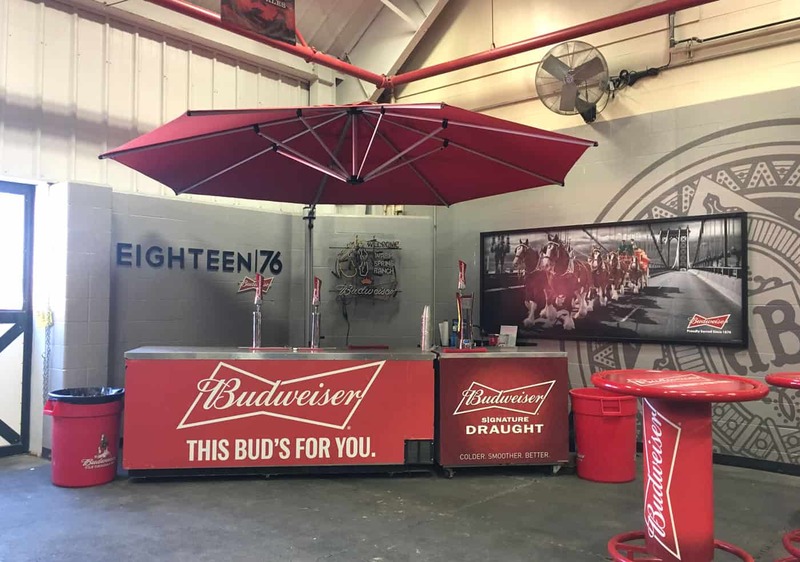 You’ll walk through the barn and grounds with a tour guide who can explain everything about what it takes to be a Budweiser Clydesdale. You’ll see the horses being cared for, and if you’re lucky–see the youngsters training for hitch duty! 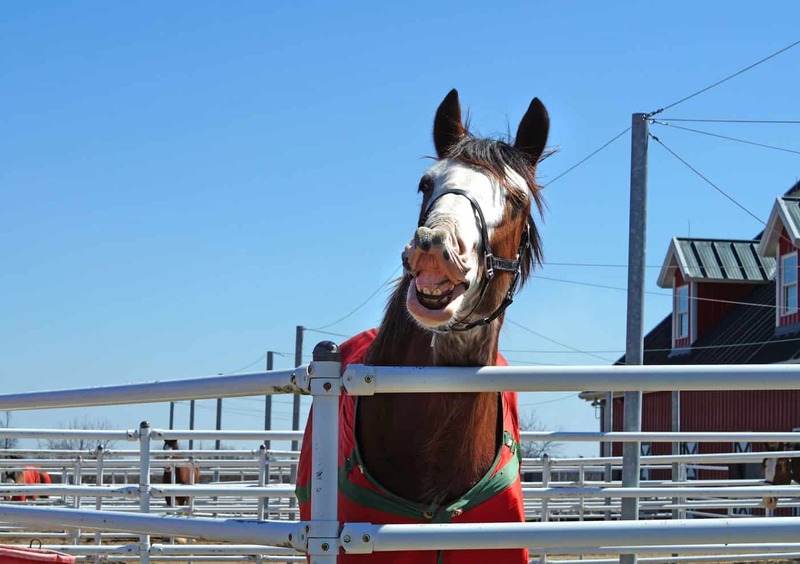 Warm Springs Ranch is home to over 200 horses, from new born foals to horses in training. They have around 300 acres of pasture land and many of the horses living here spend their time roaming free and barefoot. 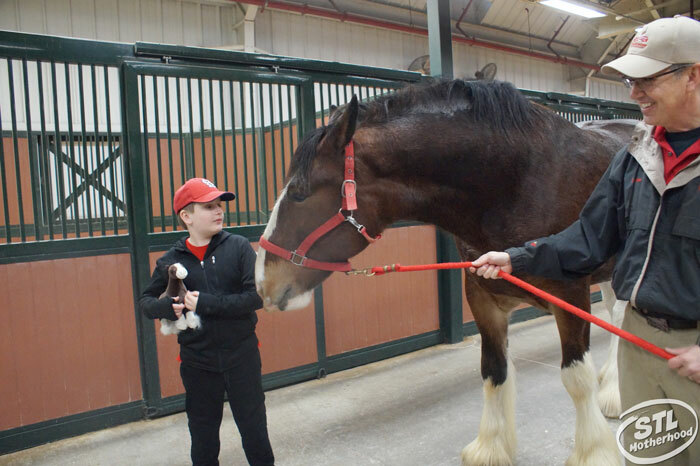 Mitch and Hattie say hi to Reeve, a 2 year old Clydesdale. 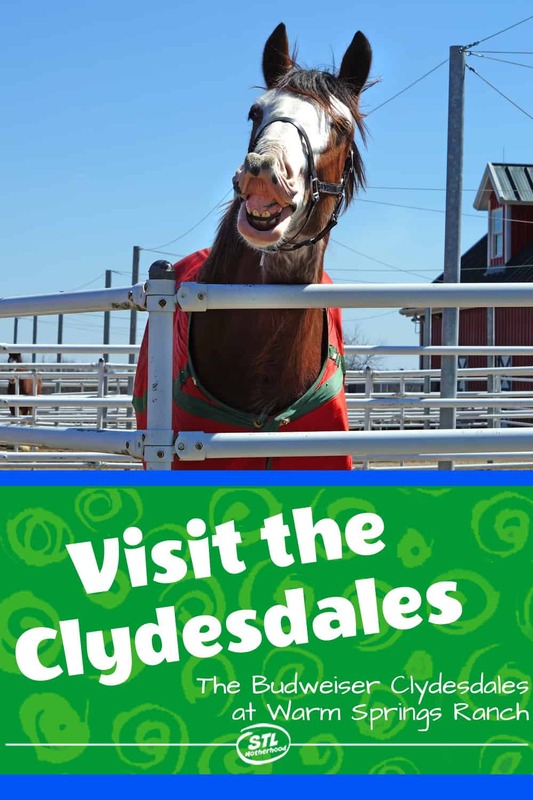 This place is for Clydesdale super fans! If you’re curious about how these magnificent animals are cared for then you’ll want to come out and visit. If you’re just looking for free beer and a petting zoo, stick to Grant’s Farm. There’s no goats to pet or ice cream stand, but they do have a gift shop and a portion of the barn is converted to a hospitality room during visitor season. And yes, visitors over 21 will get to sample some ice cold brew. While touring the barn you’ll learn how they train horses for pulling the parade wagon, and get to see their luxury horse trailers. Did you know that it takes three tractor trailers to move a parade hitch? Only five horses can fit in one rig, so two trailers carry the horses and the 3rd has the beer wagon and gear. And if you’re doing the math right, yes, they travel with two extra horses for backup–only eight are needed to pull the wagon. They got plenty of room at Warm Springs, so you might catch a traveling parade hitch on a layover during their travels. They keep a few of Clydesdales luxury trailers here and you can take a peek on your visit. The hitch teams are based in St. Louis, Merrimack, NH and Fort Collins, Co. Our St. Louis team stays downtown at the brewery between gigs. When we toured the barn at Warm Springs we got to meet Stan, a five-year-old who’s ready to join a parade hitch soon. This super star has already been in a commercial! He’s in a Super Bowl ad somewhere–they used several horses to film it…and they all kinda look alike dontcha know. I can understand why Stan got the part–he’s a real gentle guy who loves to get his ear scratched. If you want to visit Warm Springs Ranch you’ll need to make an appointment. Tickets are $15, and free for kids under 2. You’ll get to tour the barn, talk to the handlers, see the babies (there’s always babies!) and have a photo op with a Clydesdale. The barn is smack in the middle of the pastures, so you’ll see plenty of horses too! If you want the VIP experience and take a tractor ride inside the pasture, you’ll need to get a group together. It’s $500 for a group up to 16 people. That breaks down to $31.25 a person. Reeve says come on down and visit me! Either way, plan on spending about an hour and half at the ranch. 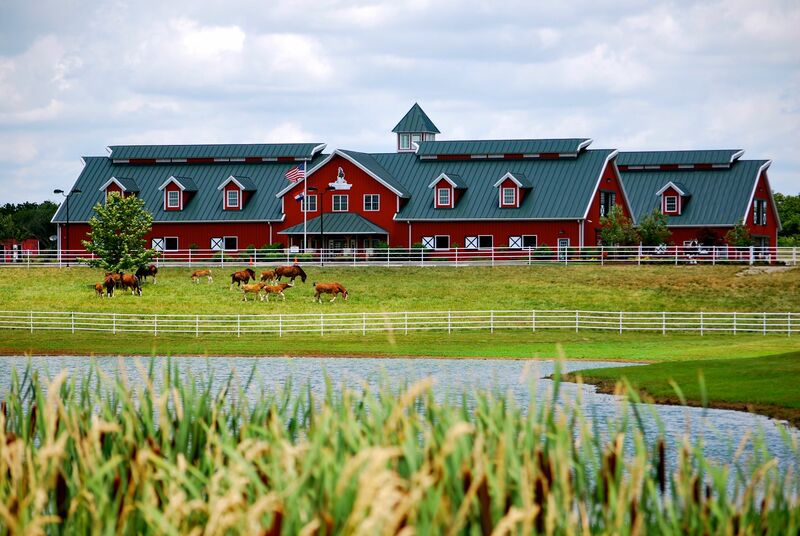 Warm Springs Ranch is just outside Columbia, so if you go you should make a day of it. Plan to visit a winery and have lunch in town! There plenty to do–here’s a link to the Visitor Guide so you can pick out a dining spot and see what else you’ll want to do while you’re in town.